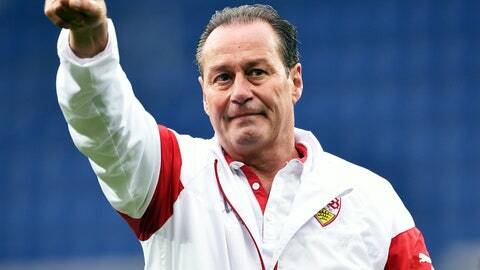 Huub Stevens has replaced Markus Gisdol as the coach of Hoffenheim. Hoffenheim sacked coach Markus Gisdol on Monday and named veteran Huub Stevens as his successor, with the 61-year-old signing a contract until the end of the season. Hoffenheim lost 1-0 at home to Hamburger SV on Friday and has dropped to next-to-last in the Bundesliga, with six points from the first 10 matches. Gisdol’s future was already in doubt before the latest setback. Club owner Dietmar Hopp invited several leading players for a talk last week, and did not include Gisdol. Hoffenheim is the eighth Bundesliga coaching job for Stevens – including two spells at both Schalke and Stuttgart. His contract with Stuttgart was not extended at the end of last season although he managed to steer the club away from relegation. Gisdol became Hoffenheim coach in April 2013 and saved the club from relegation that season. His contract ran until 2018. But Hoffenheim has only won six matches in 2015, going back to last season.